Behind every choice we make, there is a reason why, or reasons why. 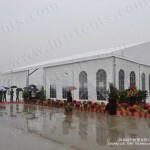 Like why does our marquee tent used PVC for cover and walls rather than something else? 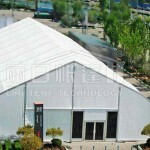 In genera, it is the most appropriate material. But not just simple like that. 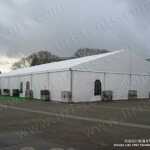 Materials and Features of Outdoor PVC marquee tent. 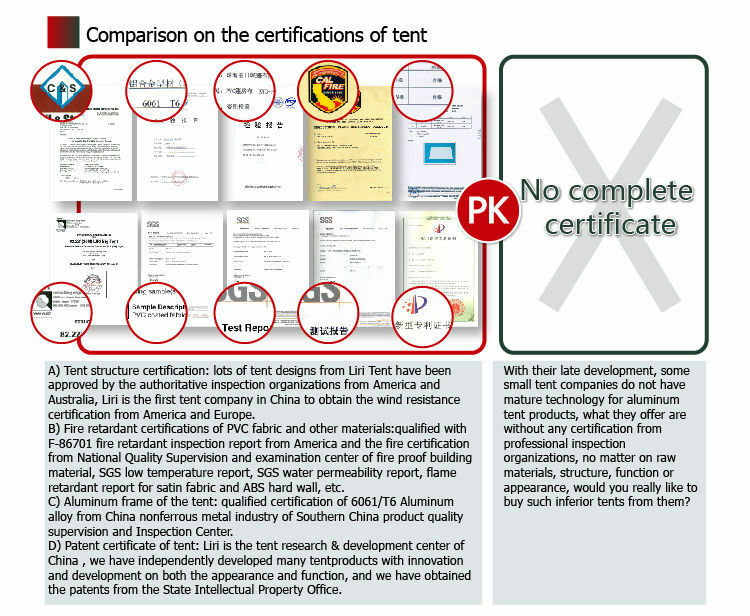 So taking factors like safety, immovability and practicality into consideration, the PVC is the most suitable for our tents, which make your events easier and more beautiful. 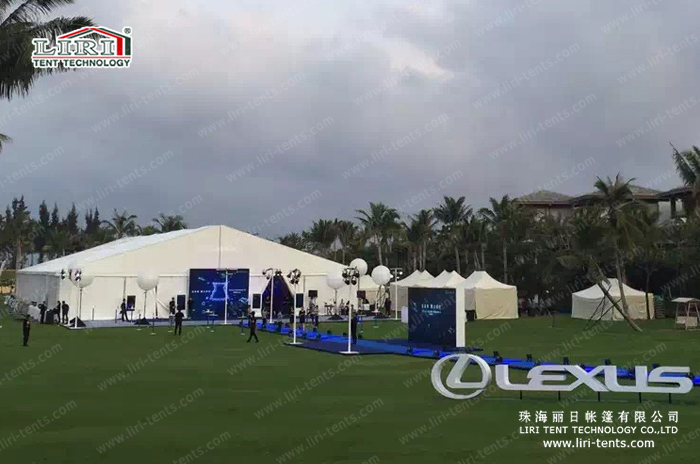 Except for PVC wall, we also have other options for the PVC marquee tent, like ground anchor, anchor puller, weight plate, glass door, fire door, glass wall, ABS hard wall, lining, flooring system, clear PVC windows, ramp, transport rack etc. 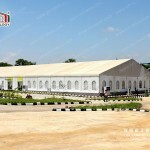 One for all–one tent for all your event and party. All for one–all accessories and service for you. 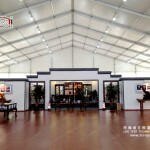 If any product meets you demand, feel free to contact us for more information.